An open thread for those who would like to live-comment my appearance on the Alex Jones show at 1 PM Central. 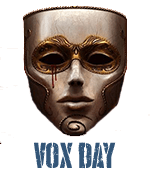 NOW LIVE: Bestselling comic author, editor & video game designer #VoxDay joins todays broadcast to explain his pro-West work including an SJW-free alternative to Wikipedia and more. But it makes Vox Day look like he's wearing a toupe and a beard. Or is that Alex? Is it just me or is Alex more all over the place than usual? I'm using the official mobile app to listen. It's pretty good. Course, he also seems to get really excited when interviewing Vox. Last thing Alex needs is any stimulant. Alex, a civic nationalist, moved away from diversity being bad in comics. Maybe a tact with him would be that SJW comics only let non-normals be heroes. And only normals are criminals. Jones definitely is keeping up with this blog. I can't watch this live. Can I rewatch it later? @12 Yup they usually archive the episodes and people will definitely mirror this one. O.T. Trump is going after Obama now; Mike Adams is declaring that Trump is has begun waging open war upon the Deep State. What did Vox say in response to Alex kicking 100 of their asses? He was muted out! The globalists are jealous of my genetic wealth. Also, I saw that flicker of AH #3's cover. Still up on link @2. Yeah, many people are in cucked churches so they fight for the wrong side. Yes, youtube appears to have cut the stream at the 2h mark. I guess this girl is an example of the modern church. Mind blown. did alex just say trump is autistic or am i hearing things? The picture is fake. Alex Jones always wears a suit. "including an SJW-free alternative to Wikipedia"
Is the idea to get Alex Jones's listeners to work on it? I get the feeling that Alex really likes you, VD. Vox sort of acts like a balancing factor to Alex's agitated state, which is good for bringing the general public around. Heartiste's has a top-level post describing (what VD's pointed out many times) how the ROE are no longer in effect and the modern media age is about control and power, not truth-seeking. Watched the whole thing live and I thought it was particularly good and, perhaps, one of the best guest segments on Alex Jone's show ever. This is the fight of our time and we will not lose because there is no coming back from this wave of darkness. Vox is able to add depth of thought and understanding to what Alex says. That of course tweaks Alex to think a new thought. Since Alex is a little verbally incontinent, he then has to say that little more though it doesn't actually add to what Vox said. I imagine Vox gets a fair amount of that when interacting with somewhat smart people. It's odd to watch but is also always nice to watch people learn. You look so skinny, Vox! Knocks years off you. It's a bit strange. I only cut 10 pounds. I was never very overweight. But people seem to have noticed it. How many segments did he hold you over? Has to be a new record. Best not to have any pressing engagements when Alex has you on. The Trump discussion really went off on an unexpected tangent. Alex was a little stunned by how perfectly you summed up Trump's sense of purpose with the road to Damascus comment. He obviously had things he wanted to get off his chest but something was holding him back, although did he really mention demonic possession? Perhaps someday off the record he'll give you an idea of the things he wanted to say. I admit...I like AJ, but I tend to tune him out when watching his show unless I force myself to actively listen. Vox as a guest really focuses Alex and makes him watchable. Plus...I just love how excited AJ gets when he has conversations with Vox. 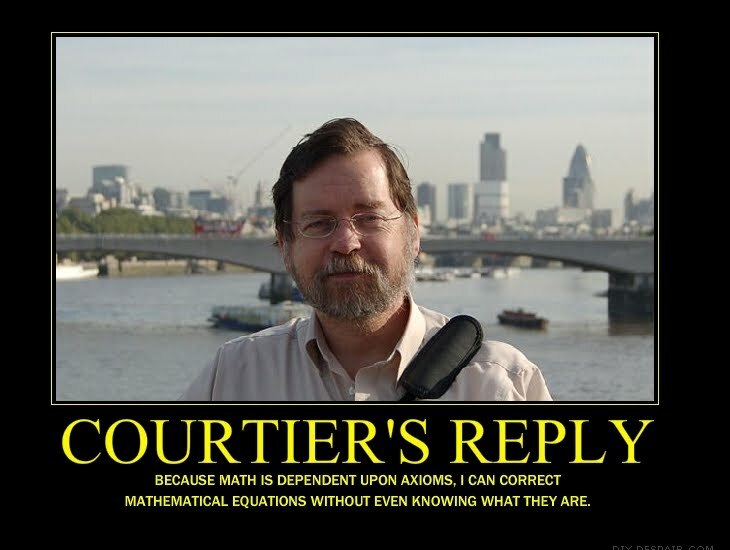 It's like watching smart but bored college students suddenly get interested and start making the connections that the professor is laying out. They can't help but exclaim the epiphanies that they are having. I should get Alex to market Kurgan razors. You handled the voluble Mr. Jones with such calm aplomb! I really enjoyed the segment very much. The contrast in your respective chatacters seem to work well together. AJ: "If you support aboriton or pedophelia you should be rejected" (perhaps not quite accurate. Vox, watched the talk. You were as lucid as always. An interesting point Jones talked about Italy shutting shop on immigrants. Unfortunately the Spanish are now allowing a flood of the 3rd world and giving them over 500 euros a month. Anyway, enjoyed the show. Thanks. I enjoyed watching the replay on youtube. Let's not address the elephant in the room, Zionism. True Zionism is fine...how stupid are the Arabs to be so bent on a piece of land the size of Delaware that doesn't even have oil (yet anyway? The real issue...and it took Vox and others here to open my eyes...is with (((those))) who behave like Zionists but refuse to leave and celebrate "Next year in Jerusalem" They need to go back! It's not in the room at all. Zionism is not the problem. Zionism is the solution. Vox, would you explicate your belief how Zionism provides us a solution? @53. I am friends with a Jew who is part of the globalist elite, they hate Israel and Zionism. If Zionism is successful then all the Jews will be in Israel and be beholden to Israel. Jewish nationalism is the solution to the Jews undermining our nations. My friend tries to claim they are Caucasian, rather then Jewish, but the ethnic nation they belong to is Israel, to admit this would mean they have to give up globalism, something they aren't willing to do. Vox you are looking slimmer and healthier compared to late 2017, a noticeable reduction in facial inflammation. Did you cut out sugars and grains?